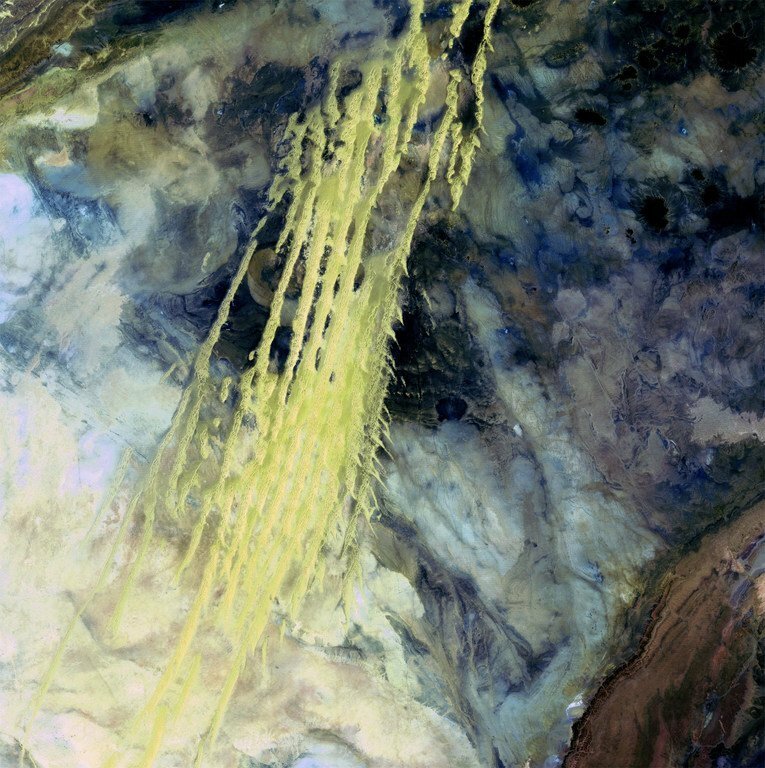 A NASA satellite image shows a vast alluvial fan blossoming across the landscape between the Kunlun and Altun mountain ranges that form the southern border of the Taklamakan Desert in China. Satellite-based tracking to chart how land is being used on the earth’s surface is about to get much easier and more accessible, the UN food agency has announced, launching a new online portal developed in collaboration with the United States Space Agency, NASA. The system known as Collect Earth Online, is web-based, free of charge and open to all platforms that will allow users to “systematically inspect” any location on the planet – from glaciers to rainforests - with satellite data, said the Food and Agriculture Organization (FAO) on Wednesday. “This innovation allows the collection of up-to-date data about our environment and its changes in a more efficient and participatory manner, using the local experts that know the landscape and the underlying ecology”, explained Mette Wilki, the head of Policy and Resources at FAO’s Forestry Division. “It helps us to obtain and upscale practical inputs at a time when environmental challenges are taking on urgent and unprecedented importance", she added. The next generation geo-spatial tool also provides access to high-resolution satellite imagery from multiple sources as well as historical imagery and photo mosaics from NASA and European Union satellite networks, making it easier to carry out surveys, collect samples and use crowdsourcing techniques. “It leverages four decades of satellite data and can help countries around the world better map and monitor their forests,” said Dan Irwin, the SERVIR Global Program Manager for NASA. SERVIR is a program jointly run by NASA and the US Agency for International Development (USAID) that co-develops state-of-the-art geospatial services to help improve environmental decision-making among developing nations. 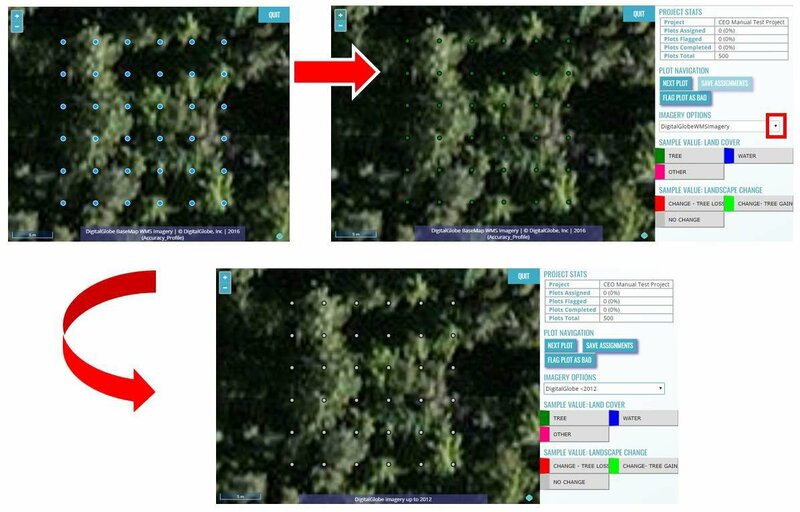 Screenshots from Collect Earth Online a free and open-source geo-spatial tool for tracking land cover and/or land use. Early next year, the system is to be integrated into the System for Earth Observation Data Access, Processing and Analysis for Land Monitoring, or SEPAL, a cloud-based platform at FAO, making it easier to link reference data directly to processing chains for map creation. In 2019, the Collect Earth Online system will also integrate TimeSync, a Landsat time series visualization tool created by Oregon State University and the US Forest Service. Fully operational, the system will also offer further features, ranging from disaster management to glacial monitoring, says FAO, noting that its open-source and cloud-based nature will not only broaden access but will also help safeguard against data loss; a significant value when digital and computing resources are limited. That opens promising prospects for ventures ranging from trying to protect natural wildlife habitat to broader projects that, for example, measure links between biomass and poverty, said the UN agency. 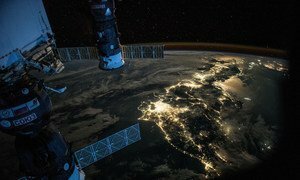 Gathered at a United Nations conference in Bangkok, countries from the Asia-Pacific region pledged to work together on Wednesday to leverage the power of space technology and boost sustainable development.